Want a healthy snack? This is the one! Fresh melons, citrus and seasonal fruit arranged with the finest cheeses. Dressings and garnishing provided. A beautifully arranged assortment of fresh produce. Try this with our Homemade Ranch & Bleu Cheese dipping sauces. Very popular and a great choice for festive gatherings! A selection of sic premium quality homemade salads beautifully arranged on a “Lazy Susan” style tray. Choose from: Chicken Salad, Potato Salad, Cole Slaw, Greek Salad, Pasta Salad, Tuna Salad, Tropical Fruit Salad, Pimento Cheese, German Potato Salad, Citrus Salad and Three Bean Salad. A tasty, healthy choice! You do the choosing, we do the work! Match three Boarshead deli meats with three cheese. Choose from Roast Beef, Pastrami, Corned Beef, Smoked Turkey, Pepper Turkey, German Bologna, Hard Salami, Genoa Salami, Cajun Roast Beef, Cheddar, Swiss, Provolone, Pepper Jack, Havarti, American and Monterey Jack. Ask about our fresh dips and mustards! Listed below are two variations: the deli tray or the deli tray with chips & tea (combo). Fresh Chicken Breast hand cut and seasoned with our special seasonings. Our chicken tender platters are excellent for entertaining, sports events, or just for dinner! Served with our Ranch, Bleu Cheese or Honey Mustard. Don’t forger to order some of our delicious sides! Fresh, healthy and delicious… need we say more? CHICKEN SALAD $7.99 per lb. TUNA SALAD $6.99 per lb. PASTA SALAD $6.99 per lb. WALDORF SALAD $9.99 per lb. ISLAND SALAD $9.99 per lb. GARDEN SALAD $6.99 per lb. BABY GREENS $6.99 per lb. CAESAR SALAD $6.99 per lb. PIMENTO SALAD $6.99 per lb. TROPICAL FRUIT $5.99 per lb. COLE SLAW $4.99 per lb. POTATO SALAD $4.99 per lb. BAKED BEANS $3.99 per lb. DEVILED EGGS $5.00 per doz. Prices vary on market price. Please call for further information regarding the pricing for the items listed below. Cooked to order! Horseradish Sauce $4.99/pt. Light and fluffy, homemade fresh, and significantly OVERSTUFFED! Delightfully stuffed with provolone cheese, mushrooms, and horseradish sauce. Delightfully stuffed with provolone cheese, mushrooms, and sauce. Cheesecake, Cakes, Muffins, Cobblers, Bread Pudding, Cookies, Banana Pudding, Fresh Cut Fruit Parfaits (Banana Split or Chocolate) and more! Call for prices and requests. Please give advanced notice. We will make your next event a success! From an intimate gathering to a large party, we have everything you need. 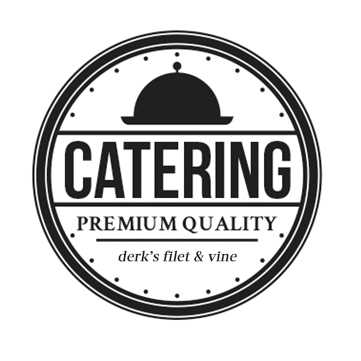 Call or come by today to find out about our catering services. Call ahead and have us prepare your entree’s and side dishes for you! All you have to do is heat them in the oven and serve. This is great for family get-togethers, office parties and other events where heat and serve is all it takes. Please Place Your Order 24 Hours in Advance for Best Results. Other Entrees, Vegetables, and Desserts are also Available. Call us for additional pricing information.